The Philippines Islands are located in Southeast Asia, between China Sea and the Pacific Ocean. 7.107 islands make up this country, being often referred as one of the largest archipelagos in the world, and one of the most beautiful coastal countries. The Tourism in the Philippines has grown steadily during the last few years. Everyday, more and more enthusiasts of the sea are looking for adventures along the Philippines archipelago. The only way to get to many of the Philippines islands is through the sea, and many of them are inhabited. In this Southeast Asian country, the adventure is assured. The province of Palawan is one of the favourites for those who are seeking astonishing places where they can enjoy white sand beaches and turquoise waters. The main ports where you can rent charter boats are Puerto Galera, Boracay, Coron, Puerto Princesa, and Cebu. Yacht charter in the Philippines. The industry of yacht chartering in the Philippines is still on its firsts steps. The fleet available for rent is mainly composed by privated owned boats and sailors who want to share the sailing experience in the Philippines. 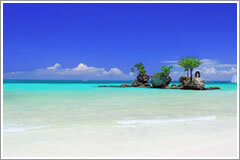 The most demanded destinations are Boracay, Puerto Galera and Palawan. Being Subic Bay, Cebu and Bohol other spots that are growing very fast. The following featured boats are available for chartering in The Philippines. 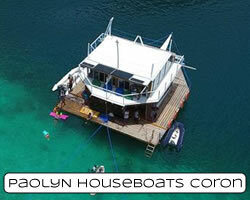 Contact the owner/operator of the boat for more details, availability and pricing. We do not apply extra charge for this service. The final price should be agreed with the owner of the boat. Check our FAQ to answer any questions you may have. This Catana 47 is the perfect option for those looking for space and confort. The boat is based in the Philippines. Amazing Grand Soleil German Frers that will take you and your friends to the best spots in the Philippines. 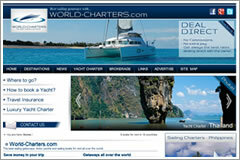 See all the boats available for charter in Philippines.